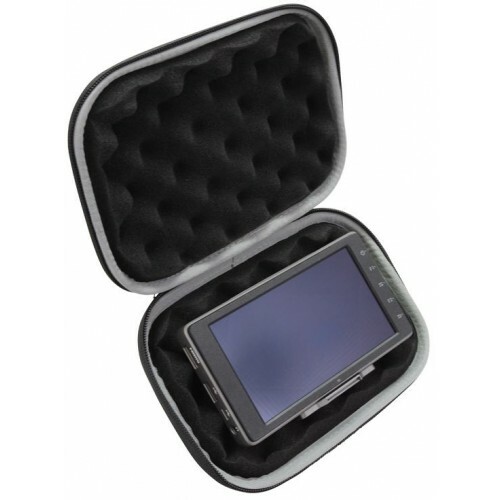 Polar Pro Protective Storage / Travel Case for DJI Crystal Sky Monitor - 5.5"
Home » Polar Pro Protective Storage / Travel Case for DJI Crystal Sky Monitor - 5.5"
The Polar Pro Crystal Sky 5.5-inch Case will protect your monitor throughout your toughest adventures. The custom moulded soft shell protects your Crystal Sky monitor while remaining easy to store in a backpack or most cases. The case is designed to hold the Crystal Sky with the battery installed. Protective foam lines the top and bottom cover to secure your Crystal Sky in the case and provides shock absorption.